If you had a lot of fields in an Event Form, or if they were selection fields with scores associated with them, you couldn't use all of your fields in the Excel report because Excel would cut off after about 230 columns. If you had more fields than 230 fields (inlcuding the scores for the fields) only the first 230 would appear. To work around the Excel column limitation you can now choose the fields that you want to use from the Event Forms. Often you won't need all of the fields from a form, you just need the numeric fields or the calculations from a form. Before you select the fields to include, you MUST have all of the Event Forms showing in your Event Forms List. You can see here that 4 Event Forms are going to be used in this Excel Report. If you want to include more than one Event Form in the Excel Report you MUST have the full list of all of the Event Forms showing BEFORE you start to de/select the fields. WARNING: If you add in an Event Form and then set up the field selection for that Form and then add in another Event Form, the previously selected field selections will be WIPED. -First, you must set up all of the Event Forms that you want to use. 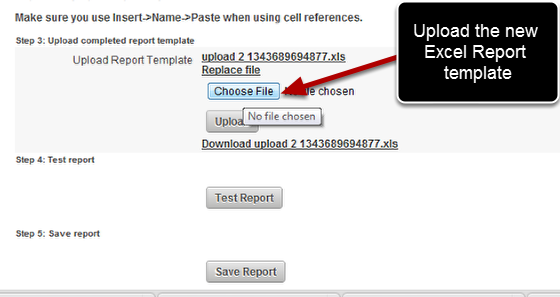 -Then, you can safely select/deselect the correct fields from each form. 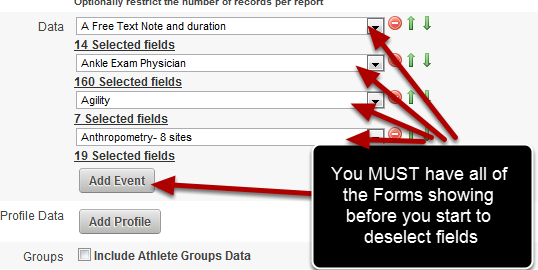 Do NOT SELECT THE FIELDS AND THEN ADD IN A NEW EVENT FORM (OR DELETE AN EVENT FORM) OR THE FIELD SELECTIONS WILL BE WIPED FOR ALL EVENT FORMS IN THAT REPORT. A list of fields from that form will appear. 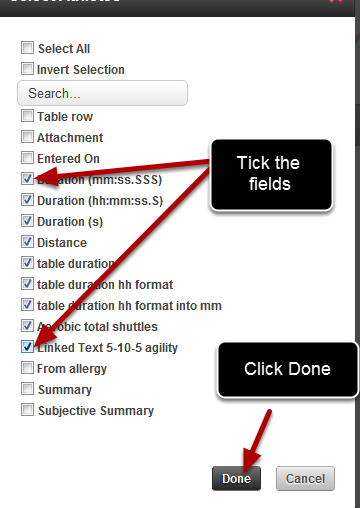 Select the Fields by placing a tick in the fields that you require, or untick the fields you do not require. Ensure a tick is placed beside any fields you want to include in the Excel Report. Some Event Forms are set up with recurring field names or field types that you may not want to include in the Excel Report. 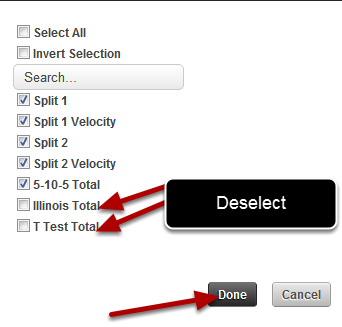 To quickly select or deselect fields with a similar field name you can use the search box to show specific field names. For this example we will remove all of the fields that have the word "comment" in the name. 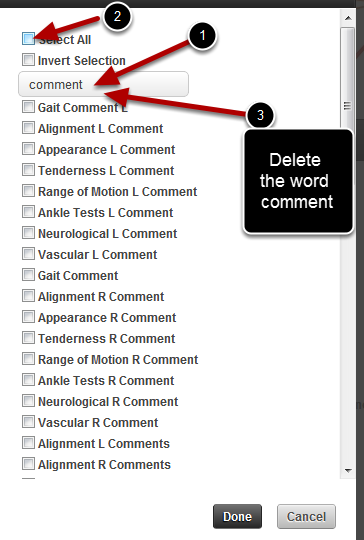 3: Delete the word comments from the search box to see all of the fields again (as shown in the image in the step below). 4: Quickly look through the fields to see that only the correct ones are ticked (as shown in the image in the step below). Once the search box is cleared, you will be able to see which fields are ticked and which are not. Click Done when you have selected the correct fields. Do this to as many of the Event Forms as you need. 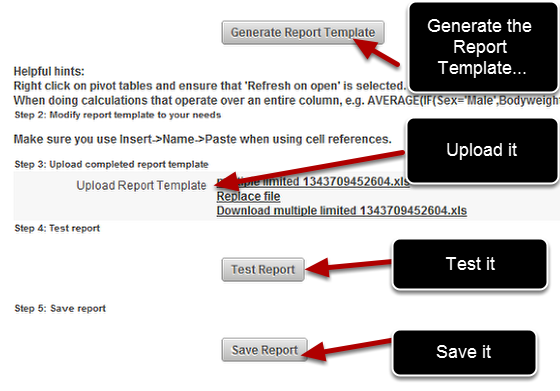 Complete the Excel Report set up as per the previous sections on Excel Reports. 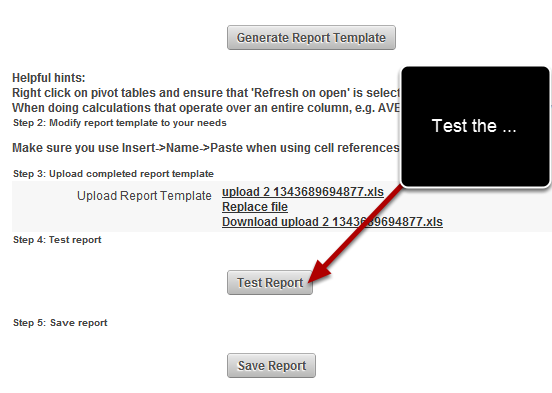 The spreadsheet at the bottom of the image shows that only the previously selected fields appear in the output. 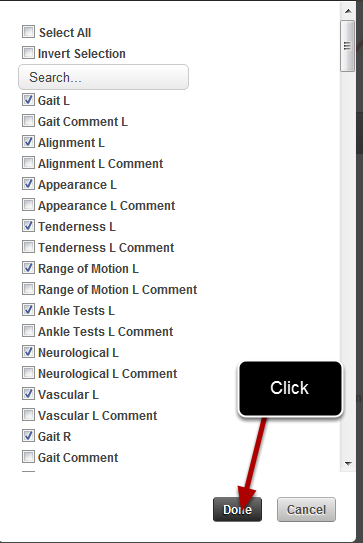 You can see that all of the comments fields from the Ankle Assessment that were deselected (in the steps above) do not appear in the new Excel output. 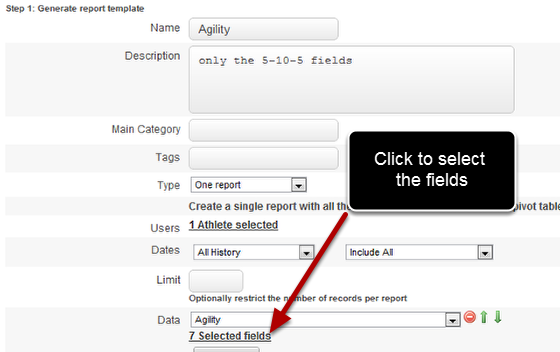 You will be able to click on each Event Form's "Selected fields" link. This will appear underneath each Event Form in any Excel Report you have created.